Tax season is a confusing time of year for most of us. With the passage of a new tax bill in Congress, this year is proving to be even more challenging. Tax professionals are still working their way through these recent changes and what they mean for each of us. That includes expenses for assisted living in Florida. One question we know seniors and their families grapple with at this time every year is whether or not the expenses associated with senior living are tax deductible. Most are confused about what is considered medical care and what isn’t. What meets the criteria required by the IRS and what doesn’t. It’s definitely a complicated issue to try to unravel. While it’s less likely that residents of our Viva Independent Living will qualify for much—if any—of a tax deduction, residents in other levels of care in our communities might. 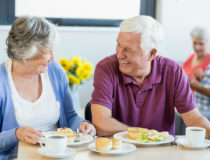 Older adults who reside in both our Harmony Assisted Living and our Serenades by Sonata Memory Care often require the type of support that meets the IRS requirements to deduct a portion of their senior living expenses. We know many people would like to be able to complete their taxes on their own without the expense of hiring a tax advisor. When it comes to deducting senior living expenses, however, that is usually not the best approach. 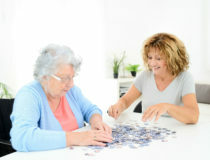 In most cases, you should probably seek the advice of a tax professional with experience in the aging services industry. They can help you get the largest deduction you are entitled to without landing yourself in trouble with the IRS. IRS Tax Publication 502: This section of the tax code outlines the rules and regulations regarding medical and dental expenses. It will help you better understand what costs the IRS considers to be medical care, what the threshold you must meet is (currently 7.5% or 10%, depending on your age and situation), and other important details. If you help a parent or other senior relative pay for senior living, this publication will also help you determine if the financial support you provide meets the “qualifying relative” standard that allows you to claim them as a deduction. IRS Tax Publication 503: This publication will help you learn more about dependent care expenses and who a qualifying person is. It covers important issues such as the criteria you must meet to claim tax credit, expenses you can deduct for a spouse’s medical care, and more. No discussion of senior living expenses would be complete without a reminder to explore all of your options for financing care. Visit our Financial Resources & Solutions page to learn more about funding solutions ranging from long-term care insurance to short-term bridge loans.